Plants are relatively straightforward to clone, at least compared to animals. 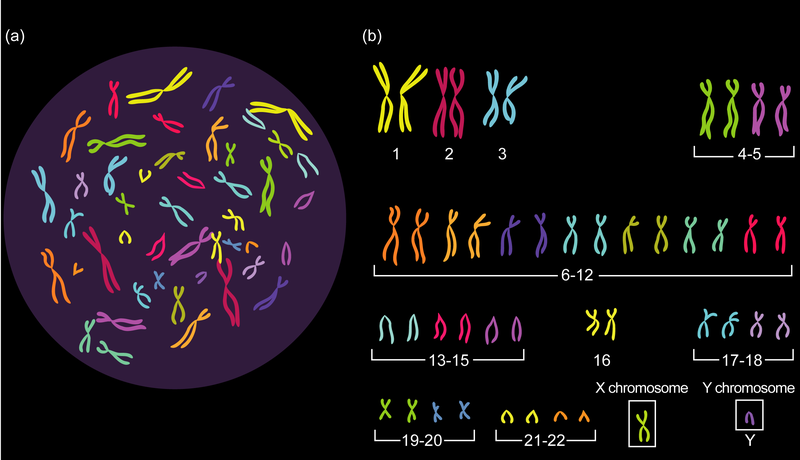 Their bodies are made of fewer tissues and the genetic developmental program in plants is simple enough that many cells retain their totipotency into maturity. The process of micropropagation, also known as tissue culture, is the main mechanism for cloning a plant. 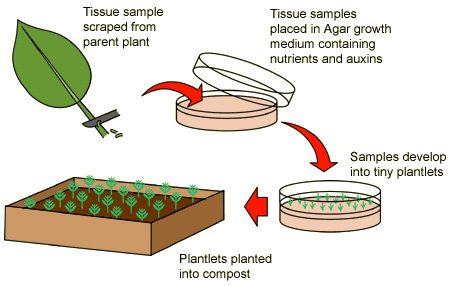 Small samples from an adult plant are cut out. These tiny explants can be sterilised in dilute bleach to kill surface bacteria and fungi, then grown in a suitable culture medium. The explants divide by mitosis and grow but if the chemicals in the growth medium are correct, they will also start to differentiate into roots, shoots and leaves. The experiment that you will have done on this in school involves cloning cauliflower plants. A cauliflower can be divided up into many thousands of explants and these are cultured on Murashiga and Skoog growth medium. This M&S medium contains the minerals, sugars and amino acids needed to grow but it also contains plant growth substances such as auxins and cytokinins. These growth substances can switch on root and leaf development and so rather than just producing a larger ball of cells called a callus, the explants will develop roots and shoots so they can be planted into compost. Seeing as the only cell division in this whole process is mitosis, the plantlets will all form a clone of the original parent plant. In practice what tends to happen in these experiments is that the surface sterilisation does not work fully and so students end up growing a boiling tube full of bacteria and fungi. Micropropagation does have commercial applications as it can produce large quantities of genetically identical plants. This allows the plant breeder to produce plants all year round without needing pollinating insects. The breeder can also guarantee the exact genetic make up of every plant as they are all a clone. Sexual reproduction of course introduces genetic variation into the offspring and although this might be advantageous to plants in the wild, for a plant breeder it is unwelcome as many of the offspring may not grow as well or be as tasty to eat as their parent. So if she starts with a plant with desirable features (good tasting fruit/disease resistance/easy to grow etc.) then every single plant in the clone will have the same desirable characteristics. Banana plants can be produced commercially by micropropagation. If you find micropropagation interesting, you are a better biologist than me. But I hope this post proves useful if not entertaining…. 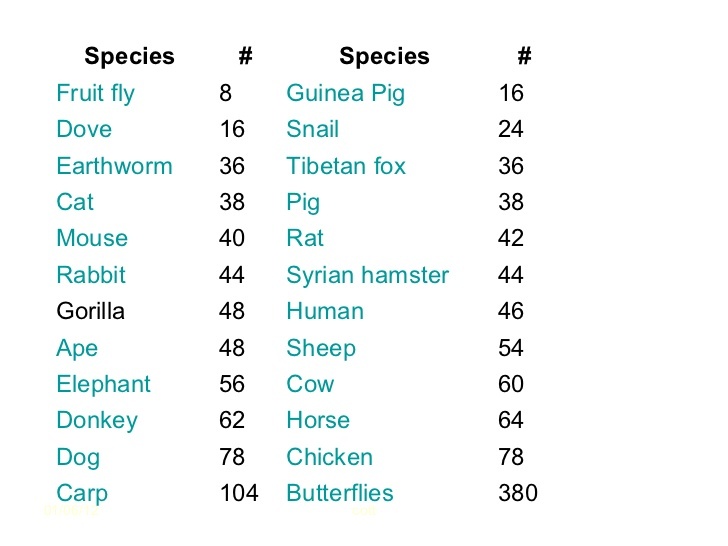 Sensitivity is a characteristic of all living organisms. It means the ability to detect and response to changes in the environment. When most students think of sensitivity they immediately think of receptors and the nervous system of mammals. In this post, I will summarise a few ways that plants are able to detect and respond to changes in their environment. What stimuli are plants able to detect? There are others such as day length, presence of certain chemicals and temperature too. But you can see that for all the stimuli in the table above, the response is by altering the pattern of growth. Animals often respond to stimuli with muscle contractions leading to movement. Plants have no equivalent of muscle tissue of course and so they respond through growth. A tropism is a growth response in a plant in which the direction of the stimulus determines the direction of growth in the plant. For example, positive phototropism would be the term used when a growing shoot will grow towards unidirectional sunlight. Growing roots will show negative phototropism when they grow away from light. How is positive phototropism in a growing shoot brought about? Plant growth is controlled by a family of chemicals called Plant Growth Substances (PGS) – in the past these were sometimes called plant hormones. The most important PGS and indeed the only one you need to know about for iGCSE is called Auxin. This chemical is made in the tip of the growing shoot and when it diffuses down a millimetre or two to the growing region, it can stimulate growth in two ways. Auxin causes cells in the shoot to divide by mitosis and also influences the cell wall of the plant cells allowing them to elongate. The net effect of this is to stimulate growth. Auxin is actually a chemical called Indole Acetic Acid (IAA) and sometimes you will see it referred to by this name. The detailed mechanism of positive phototropism in shoots is not well understood but we do know that if the shoot has brighter light on one side than the other, auxin will be moved towards the darker side of the shoot. This lateral redistribution of auxin allows the darker side to grow faster, so the shoot bends towards the light. Phototropism in plants is brought about by a chemical called AUXIN or IAA. Auxin is made in the tip of the growing shoot and diffuses down the stem towards a region of cell growth. If the shoot is growing in unidirectional light, the auxin will accumulate on the dark side of the shoot. Auxin stimulates mitosis in the growing region as well as causing individual cells to elongate. For this reason the darker side of the shoot will grow faster and so the shoot will bend towards the light. We know that the growing root and shoot are also able to detect gravity. A growing root will always grow downwards (positive geotropism) and the shoot upwards (negative geotropism). How are these responses brought about? Well it’s our old friend auxin again….. This diagram shows auxin moving downwards in a shoot under the influence of gravity. The lower side has a higher concentration of auxin and so grows faster. This results in negative geotropism in the shoot: it will grow in the opposite direction to gravity. As far as I know, no-one really understands how the growing shoot and root are able to detect the direction of gravity. No-one really knows how the lateral redistribution of auxin due to light happens either…. There are still plenty of unknowns in this topic! This final diagram shows positive geotropism in a growing root. It is positive geotropism because the root grows in the direction of gravity. If auxin accumulates on the lower side of the growing shoot and root (and it does) how does this work? Well it turns out that while auxin stimulates growth in the shoot, the same chemical inhibits growth in the root. 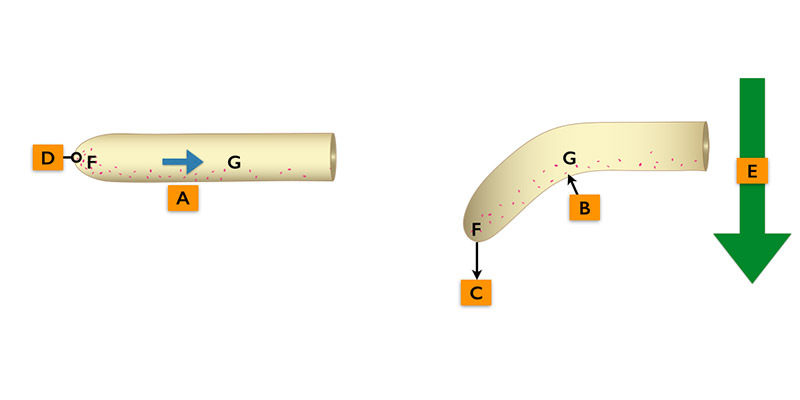 So the diagrams above show auxin being produced at the tip (D) and accumulating on the lower side of the root (B). Auxin inhibits the growth of the root causing less growth on this side, so the root bends downwards. The previous posts have explained the processes involved in sexual reproduction in plants. But many species of plant can also reproduce asexually and this post is going to explain how and why this might occur… Now this is not a topic that is so exciting that it keeps many GCSE students awake at night but there is some good biology in here so pay attention! Asexual reproduction is the term used for any reproductive strategy that produces genetically identical offspring. The term for a group of genetically identical organisms is a clone and so asexual reproduction is also called cloning. In animals and plants, asexual reproduction only involves one type of cell division, mitosis. Sexual reproduction on the other hand always introduces genetic variation into the offspring. 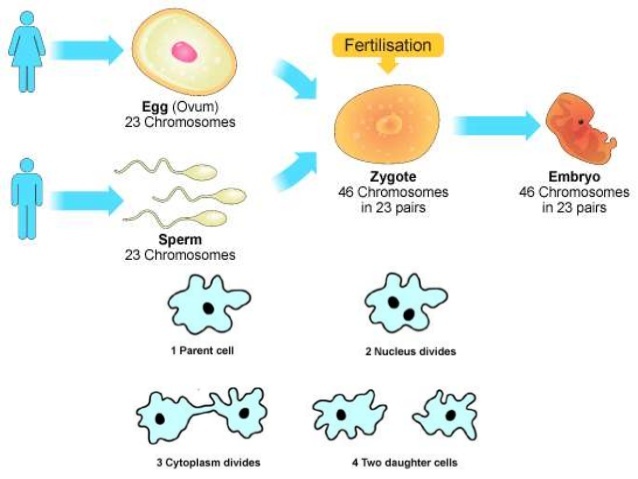 In the majority of cases, it involves the formation of two haploid gametes (produced in a specialised type of cell division called meiosis) which then fuse together in fertilisation to form a zygote. This post is not the correct place to discuss the advantages and disadvantages of the two types of reproduction. But sexual reproduction comes at a cost for an organism: in plants this cost is the energy spent making attractive petals and scent to attract insect pollinators, the cost of wasting millions of pollen grains just to ensure some are transferred, the cost of making sweet tasty fruits for animals to eat. I am writing this the day after Valentine’s Day in the UK which illustrates the courtship costs for animals quite well…..
Plants have evolved a variety of asexual strategies shown in the picture above. We only really need to consider one for your iGCSE exam and that is runners. Some plants, the classic example is the strawberry grow long horizontal stems outwards from the parent plant. When this “runner” touches the ground, root development is switched on and a new plant starts to grow upwards. When the runner dies back, you are left with two genetically identical plants, hence Asexual Reproduction. 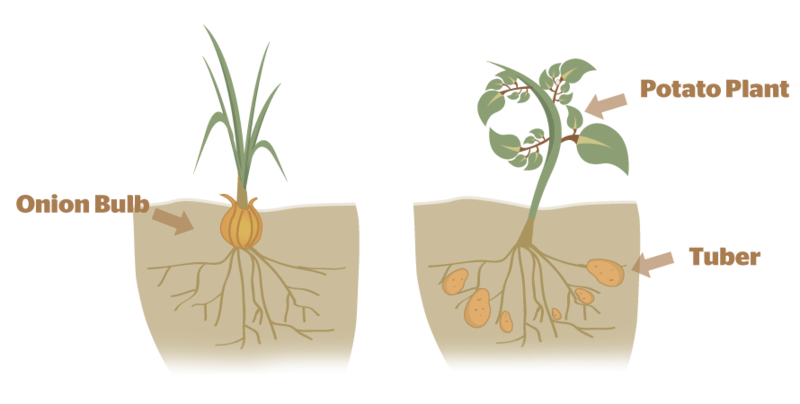 If you are really interested in learning more about asexual strategies in plants, well you should probably get out more… But you could study how tubers (such as in potato) and bulbs (such as the onion) allow plants both to over-winter and also produce clones. This is quite weird if you think about it….. A human can cause asexual reproduction in many species of plant by “taking a cutting“. As the name suggests this involves cutting off a small part of the plant (including a leaf and part of the stalk) and then sticking it into soil to grow a new plant. The only type of cell division in this process is mitosis and so the plant produced from the cutting will be a clone of its parent (genetically identical). This is an example of artificial asexual reproduction in plants. It is a useful strategy for gardeners as it allows you to produce lots of new plants for your garden without shelling out hard-earned cash at the garden centre…. Rooting powder contains a mixture of plant growth substances (sometimes incorrectly called hormones) that can switch on the genetic programme of root production. I hope you find this post useful. It probably holds the record for the dullest site anywhere on the World Wide Web…. Typing this has made me feel sleepy, so I am going to lie down….. Please add comments/questions or tweet me if anything is unclear.